On a cool October night, with a full moon looming above the Gothic library, I met with the Willard Library Ghost Chatters group (WLGC) for their annual paranormal investigation of "their" library. 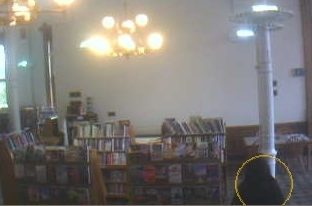 has been meeting here every year in October since 2000 when founder Maer Mack suggested that a few chat room friends interested in paranormal and the Grey Lady (the resident spirit of the library) meet at Willard Library once a year to investigate. 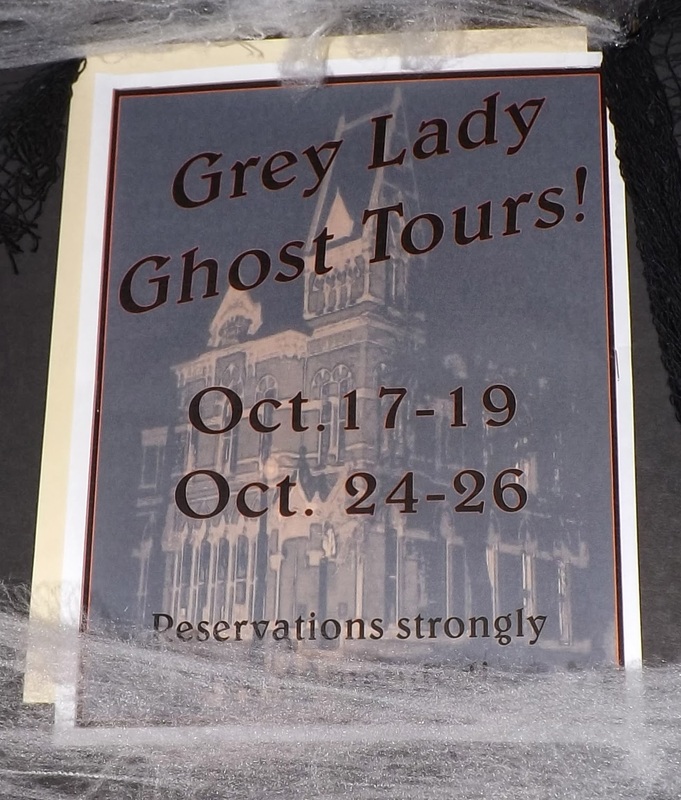 One thing has led to another over the years and now the group comes from all over the country, and Canada, prepared to search for ghosts, while getting caught up with each other during their weekend reunion in Evansville. 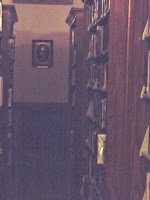 Everyone has a story to tell - of orbs bouncing between the book stacks; books sailing off of shelves and even striking people; water turning on and off at the janitor’s sink; shadows passing up the stairs; cold spots moving through the rooms… EVPs (electronic voice phenomenon) are prevalent in the library: a little boy’s voice, a woman’s, and sometime a man's can be heard. How many spirits abide at Willard? Hard to say – WLGC estimate that there are at least eight entities here. Tim Harte with Mesa Project http://www.mesaproject.com has been researching the paranormal for decades. 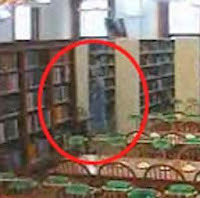 Each year he brings his equipment to the library and sets up in a room, measuring a variety of energies that are associated with paranormal phenomena. Harte’s equipment collects data on visible, incident infrared, and ultraviolet light intensities: “natural and artificially generated electromagnetic fields, gamma ray radiation, galvanic skin response of a human subject, infrasound, and vibration." 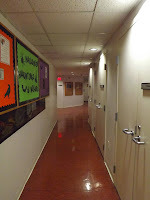 On this night, he picks up some activity in the Bayard Room, a known “haunt” of the Grey Lady’s. It all began when Willard Carpenter, a well-known businessman in the Evansville community, decided to build a library that would be “for the use of people of all classes and sexes, free of charge, forever.” Willard Library opened in 1885, housed in a 3-story Victorian Gothic style building. It is the oldest public library in Indiana. 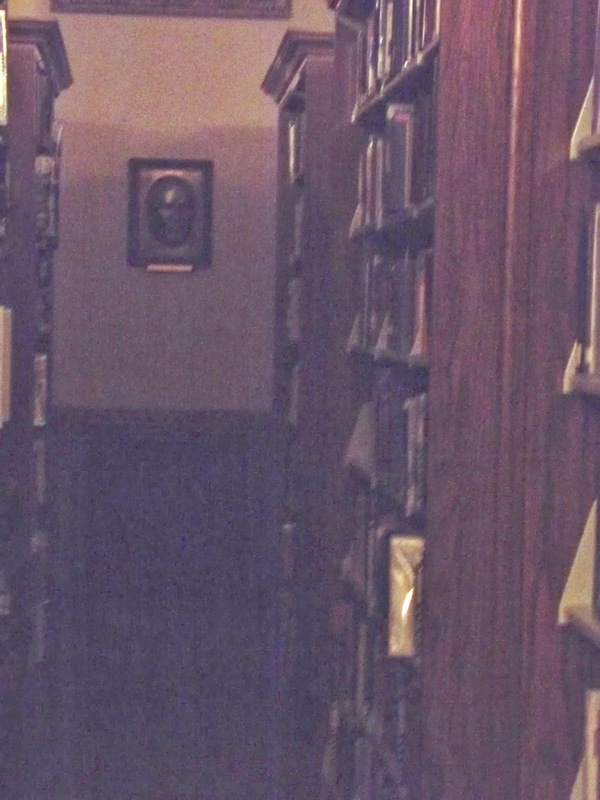 The first report of the library being haunted occurred in the winter of 1937. The library janitor was stoking the basement furnace in the early morning hours when he came face-to-face with a woman dressed in grey. When he asked what she wanted, she simply faded away. That was the last time the janitor was in the building; he quit the next morning. 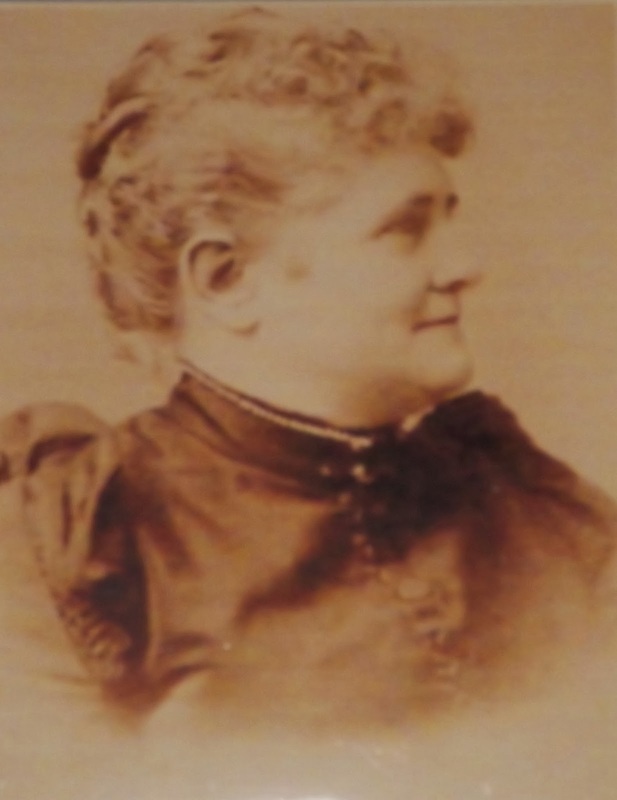 The Grey Lady has been rumored to be Louise Carpenter, Willard’s daughter. 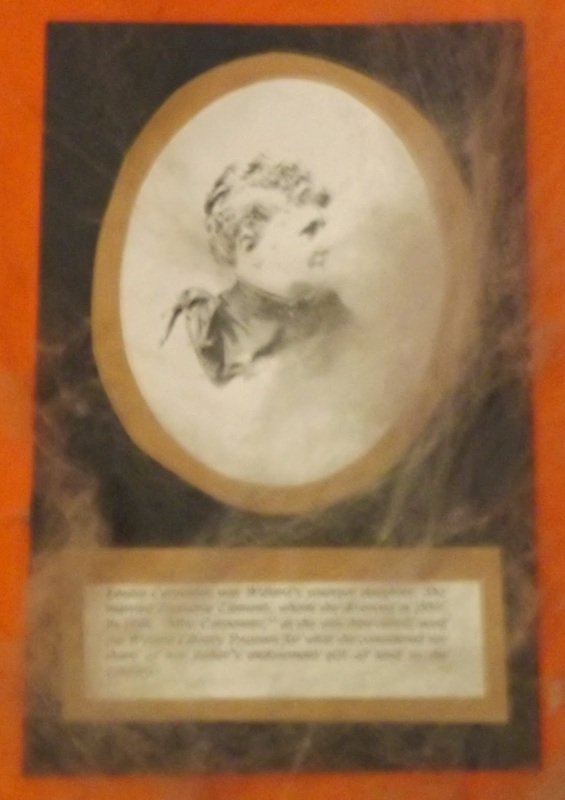 Unhappy with her inheritance, she is said to haunt the library, which received the bulk of her father’s money. But many say that just doesn’t feel right. They believe the Grey Lady may be the spirit of a former librarian. Especially since the spirit seems to like being in the children’s section in the basement. The Grey Lady is known to move furniture around, push books off shelves, or move them forward to the edge of the shelves. Footsteps can be heard when no one else is on the floor in question, and the scent of lilac or lavender perfume is sometimes noticed. 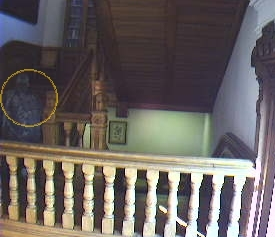 She has been seen on the main staircase and has been felt as a cold spot. She also likes to touch female patrons hair or earrings – and this I can vouch for; it’s happened to me in the Bayard Room. sometimes seen in the basement. And, there are also others...unnamed. 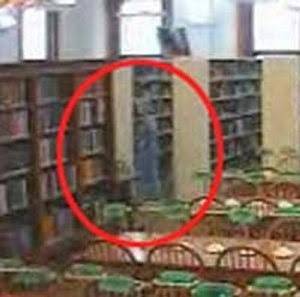 Willard Library has been featured on paranormal programs broadcast on the Discover Channel, the Sci-Fi channel, CNN, and the Travel Channel, just to name a few. According to Library Director, Greg Hager, there is currently a waiting list for paranormal groups who would like to do an overnight investigation here; the next available night will be in October 2031! But the door is always open to the WLGC - the group that started the search. 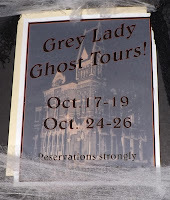 As for those just wanting to learn more about the paranormal activity here, the library offers free Grey Lady tours on select evenings in October, but reservations are strongly recommended. “Why the Grey Lady, of course,” will most likely be the reply. Excellent article, Joy! Thanks for being here this year. Thanks, Greg! It was fun.